While visiting Snowbird Resort in Utah, I wanted to find an alternative to downhill skiing. They don't have x-c skiing or nordic skiing at Snowbird (although you can find it at nearby Solitude Mountain, but they DO have snowshoeing and I fell in love thanks to Crazy Snow Shoe Guy. Learn more about the sport and get inspired to try it and visit Utah. 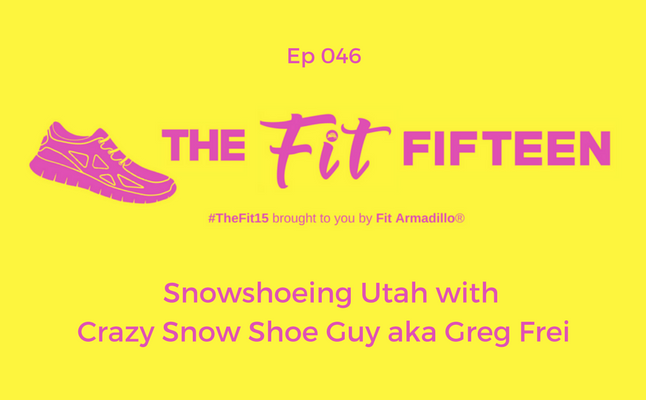 Born and Raised in the Wasatch Mountains--Utah, Greg Frei lives an active lifestyle. During the summer months, he spends his time hiking, canyoneering, trail running and mountain biking. When the snow flies, skiing and snowshoeing become his passion for not only fitness, but FUN! In addition to his active lifestyle, he works 3 jobs. He is a marketing manager for an adventure resort located on the East Rim of Zion National Park--Zion Ponderosa. He also started his own foundation, The Glowosaurs Foundation--helping ill and injured children during a time of need. He is a snowshoe and hiking guide at snowbird ski and summer resort.